Biology has become a powerful and revolutionary technology, uniquely poised to transform and propel innovation in the near future. Advances are already being applied to some of today’s most pressing issues, from energy and the environment to medicine and health. The skills, tools, and implications of using living systems to engineer innovative solutions to human and global challenges, however, are still largely foreign and inaccessible to the general public. To build an informed society, the life sciences need new ways of effectively engaging diverse audiences in these complex and powerful fields. In addition, educational models that can better keep pace with the emerging and quickly evolving landscape of biotech are needed if we aim to prepare young people for related careers. Our NIH-SEPA project, Biohealth Learning Lab and Makerspace for the Community, will leverage a longtime partnership between Stanford University Department of Genetics and The Tech Museum of Innovation to explore, develop, and implement a novel approach for engagement with biology. We seek to create and test a groundbreaking type of museum space: a DIY community biology lab and bio-makerspace, complete with a unique repertoire of hands-on experiences. We will tackle the challenge of developing both open-ended bio-making activities and more scaffolded ones that, together, start to do for biology, biotech, and living systems what today’s makerspaces have done for engineering. 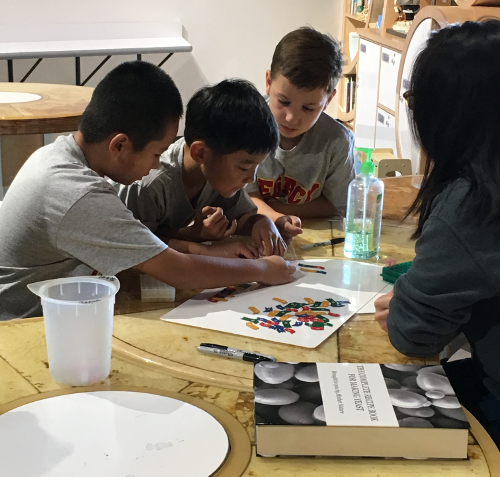 A combined Design Challenge Learning, making, and tinkering approach was chosen because of its demonstrated effectiveness at fostering confidence, creative capacity, and problem-solving skills as well engaging participants of diverse backgrounds. This model can help build the next generation of biotech and biomedical innovators. Create a first-of-its-kind museum DIY community lab and bio-makerspace that brings to the public, through hands-on experiences, the concepts and tools of biotech and medicine. Foster the knowledge, confidence, creative capacity, and problem-solving skills of young people in the emerging mediums of biology and living systems. Inspire and equip students from diverse populations and backgrounds to explore STEM careers in biology-related fields. Raise awareness of biology as a modern problem-solving space and help the public explore and understand the associated benefits, cautions, and responsible practices. Explore, prototype, develop, implement, and refine, in close collaboration with Stanford scientists, a cohort of 6-8 highly vetted hands-on biology experiences. Conduct formative and summative evaluations of the experiences and novel approach to biology engagement to characterize what works, what doesn’t, and best practices. Author comprehensive resources for replication of both the highly-vetted individual experiences and the space itself. Share our learnings and resources for replication with both the informal and formal education fields through peer-reviewed publications, conference presentations, and online platforms. 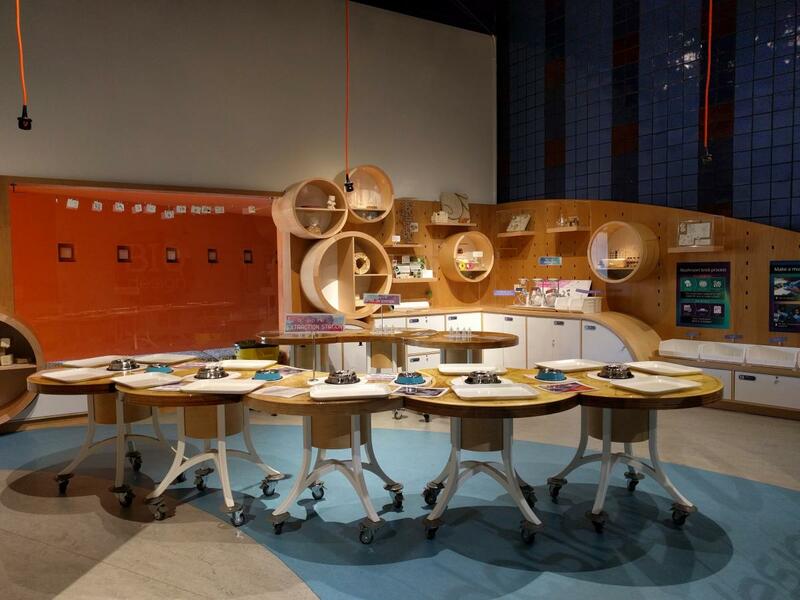 In 2016 The Tech opened BioDesign Studio, a permenant exhibition which includes a unique programing space called the Biotinkering Lab. This flexible and welcoming workspace is the physical location of our experimental, museum-embedded DIY community lab and bio-makerspace. With the support of this NIH-SEPA we will develop, evaluate, and implement novel activities in this space as well as highlight interesting and inspiring projects, companies, and ideas in surrounding displays. 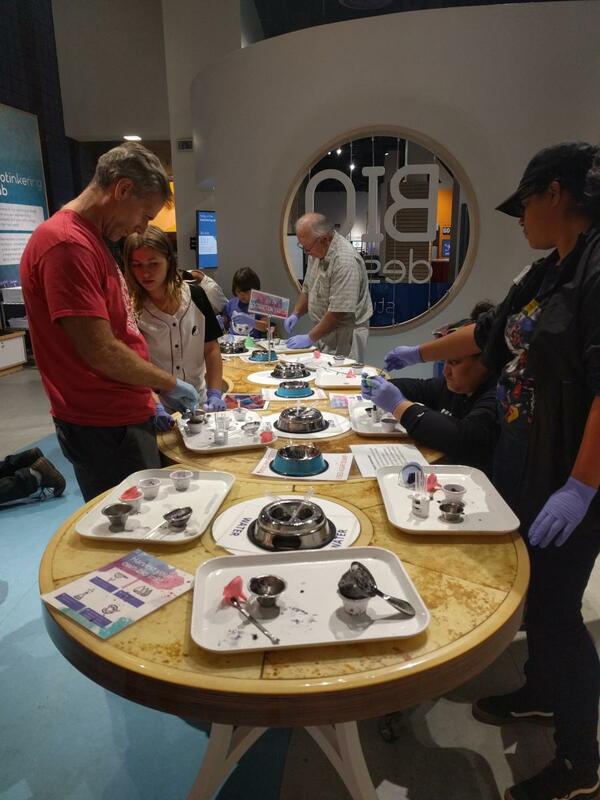 In this activity, visitors are invited to harvest and tinker with a pigment made by living bacteria. The pigment is then turned into an experimental bio ink, which participants can use to make their own artistic creations. Here is how it works. We leverage the innate abilities of a humble little bacteria called Streptomyces violaceoruber. These guys live all around the world, and they’re what give soil its very distinctive smell. 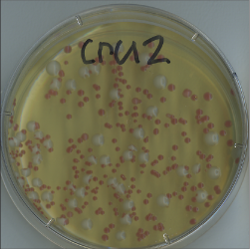 They are harmless to people, and in fact they are the original source of numerous life-saving antibiotics. In Bio Inks, Streptomyces violaceoruber displays another of its natural abilities: Producing a blue-hued pigment that gives their colonies beautiful coloring. The bacteria — which are grown in The Tech’s bio lab — do most of the work by manufacturing this pigment inside their cells and then releasing it. Visitors are then tasked with the challenge of figuring out how to extract and collect the pigment from the agar. 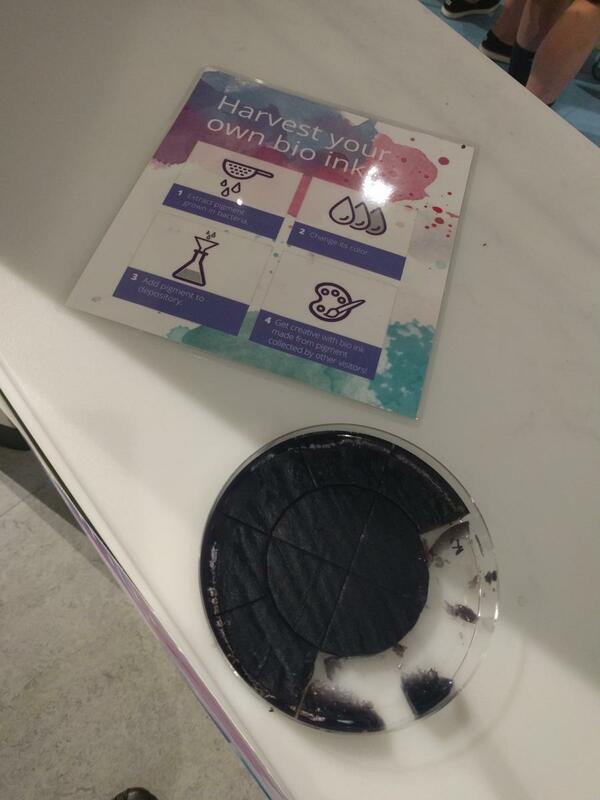 The unique pH-sensitivity of the pigment means visitors can play with chemistry to alter its color before they contribute it to our Bio Ink Depository to be turned into an experimental ink for other visitors to use! Bio Inks is a fun peek into how scientists are exploring the possibilities of using biological systems like bacteria to produce inks through a more Earth-friendly process. Also, bio inks like ours are not petroleum-based and therefore are more sustainable than most of the ink in the world around you. Come get creative with our one-of-a-kind museum-grown bio inks! When visitors visit the webpage to check their results, they can dive deeper into the technology of what they did. We are still in the early stages of designing and testing this activity and the custom yeast that we are using, but this early version has already been successfully run on the museum floor with visitors of all ages. This project was made possible by a Science Education Partnership Award (SEPA), Grant Number R25 GM129220, from the National Institutes of Health (NIH). Its contents are solely the responsibility of the authors and do not necessarily represent the official views of the NIH.